Well, a little bit of history about the press revue. Initially, the press review was born as a request from one of my customer, a little more than four years ago. A this time, this revue was oriented towards its locally used technology only, and was commented and discussed to sum things up appropriately according to its own needs. Since then, this revue was finally regularly published on this blog--some months after I leaved this customer in fact--, but it now takes me some time to collect and format, and was not really discussed anymore: it's just a bunch of (I hope ;-)) interesting links, but without much of value as it stands now. More, that information which are asynchronous by nature are not well served when published once a month, when interesting news came at the beginning of a month and is only released four weeks later through the press revue. Last, I just want to say I will try my best to resurrect the old purpose of this blog which is more about writing technical contents, better served using this kind of media. I hope these changes will fit your needs. Please let me know if you see any problem with this move. Thank you. Understanding, installing, enabling, and using IPMI and MCE—two hardware fault management tools in Oracle Linux. It’s always difficult to fit the upcoming Oracle Open World topics, and all its sessions in one title, even if "Simplifying IT. Enabling Business Transformation." makes it clear on what Oracle is focusing on, I wanted to be more specific on the "How". At least for those of you who attended Hot Chips conference, some of the acronyms will be familiar to you, some may not (I will come back to "IoT" later). For those of you attending, or those of you who will get the sessions presentations once available online, here are few things that you don't want to miss which will give you not only what Oracle R&D has done for you since last year, but also what customers -like you- have implemented thanks to the red-stack and its partners, being ISVs or SIs. I regularly get asked a question like: I have 4 months of data from 25 machines and have to develop a Capacity Planning model to size these LPARs on to new machines but I am having problems with having so much data. What can you recommend? FAQ3: How can I Monitoring Shared Processor Pools longer term? [...] The CPU Pool information is gathered (if switched on) at the HMC via the service processor but extracting it and then using it to generate graphs or spreadsheet data is extremely complex particularly if you have a complex set of up to 64 CPU Pools! In this article, we will examine three use cases in order to demonstrate the capability of Oracle Solaris 11 tools. The first use case will show how to measure the network bandwidth between two systems. The second use case will demonstrate how to observe network statistics on a specific TCP port, and the last use case will demonstrate, by example, how to collect and display historical statistics of network resource usage for a given date and time range. On 10th of September, Oracle announced its latest ZFS Storage Appliances, the ZS3 Series, that enables customers to accelerate time to insight, while extensive Oracle co-engineering improves operational efficiencies and reduces data center costs through dynamic automation through the Oracle stack. As IT skills converge, the ZS3 provides enterprises with the ability to respond to application needs dynamically while reducing time-to-business benefits. We've recently moved to a monthly release cadence for Solaris 10 OS patches. New Solaris 10 OS patches are now available from MOS by the Monday closest to 17th of each month. To determine the oslevel on AIX, you can run the "oslevel -s" command. However, what "oslevel -s" reports doesn't always show the entire picture. The OS level reported will be the lowest level of any installed AIX fileset on your server. Feedback from customers has been extremely positive. I recently met a customer with 1000+ Solaris servers who told me that with Solaris 10 it took them 2 months to roll out a new patchset across their enterprise. With Solaris 11, it takes 10 days. That really helps lower TCO. Last Tuesday, during the SPARC Showcase event, Jean-François Charpentier, François Napoleoni and Sébastien Flourac delivered very interesting uses cases of deployment of latest Oracle Systems at work : Oracle VM virtualization project on T4-4, intensive financial trading on T5-2 and a complete Information System migration to Oracle SuperCluster. This testimony from Mr Sébastien Flourac, Head of Strategy for GRTgaz IT, concluded the last week SPARC Showcase event. Mr Flourac highlighted why he selected an Oracle SuperCluster, Engineered Systems, over a more traditional build it yourself approach, that he also studied. Many announcements have been made today by Larry Ellison, during his opening of Oracle OpenWorld. [...] On OpenWorld side, it was also very impressive. More people this year are attending the event : 60 000 ! And in terms of big numbers, we saw very impressive results of the new features and products that have been announced today by Larry: Database 12c in-memory option, M6-32 Big Memory Machine, M6-32 SuperCluster and Oracle Database Backup, Logging, Recovery Appliance (yes, I am not joking, that's its real product name !). IBM introduced the PureSystems in April 2012. It was a big deal and it still is. IBM is certain this is the system to converge all systems, with infrastructure in a box--PureFlex--as the solution to the huge business knot caused by IT redundancies. Instead of each platform requiring its own infrastructure, this is one infrastructure for all and all for one. In the past year and a half, the successes have mostly piled up on the X86 side as a server consolidation play, but IBM i shops are in this game, too. Companies are awash in data. In fact, Science Daily reported that 90% of the world's data was generated over the last two years. Capturing, integrating, and analyzing massive amounts of data from both social media interactions and traditional in-house systems demands a shift to in-memory processing. 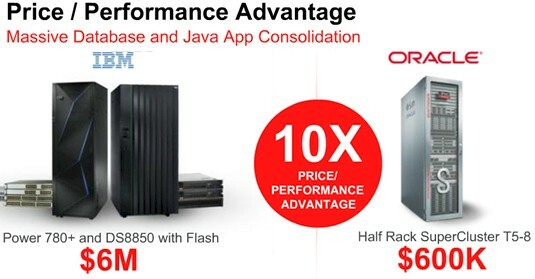 With Oracle's new SPARC M6-32 systems, customers can now run entire applications in memory. Based on the SPARC M6 12-core processor, these systems have a staggering 32 terabytes of system memory and up to 384 processor cores with 8-threads per core. The SPARC M6-32 provides twice the memory capacity of IBM Power servers and delivers extreme in-memory compute performance for large-scale, mission-critical workloads and databases. And it offers the highest levels of system availability for core business applications. This document discusses the benefits and positioning of using AIX LVM mirroring with preferred read from Flash/SSD and provides detailed implementation steps to set it up. With an amazing 1,536 threads in an Oracle M5-32 system, the number of threads in a single system has never been so high. This offers a tremendous processing capacity, but one may wonder how to make optimal use of all these resources. In this technical white paper, we explain how the heavily threaded Oracle T5 and M5 servers can be deployed to efficiently consolidate and manage workloads using virtualization through Oracle Solaris Zones, Oracle VM Server for SPARC, and Oracle Enterprise Manager Ops Center, as well as how to improve the performance of a single application through multi-threading. Part 1 of this article series provided an overview about the Linux container technology. This second part intends to give you an impression on how to work with containers, by showing a few practical examples. These can be easily followed and reproduced on an up to date Oracle Linux 6 system. For the first steps, it is recommended to install Oracl Linux inside a virtual environment like Oracle VM VirtualBox. Oracle provides a pre-installed and pre-configured Oracle Linux 6 Virtualbox image for free download from the Oracle Technology Network (OTN). These articles (a seven-part series) provides best practices and recommendations for configuring VMware vSphere 5.x with Oracle ZFS Storage Appliance to reach optimal I/O performance and throughput. The best practices and recommendations highlight configuration and tuning options for Fibre Channel, NFS, and iSCSI protocols. The series also includes recommendations for the correct design of network infrastructure for VMware cluster and multi-pool configurations, as well as the recommended data layout for virtual machines. In addition, the series demonstrates the use of VMware linked clone technology with Oracle ZFS Storage Appliance. IBM on Tuesday rolled out a series of new Flex Systems that are designed to pack more computing power in tight data centers for cloud services. IBM, along with Google, Mellanox, NVIDIA and Tyan, has announced that it will form a new consortium called OpenPOWER. The OpenPOWER Consortium will leverage IBM’s proven POWER processor to provide an open and flexible development platform aimed at accelerating the rate of innovation for advanced, next-generation data centers. Nous menons actuellement une mission de refonte d’architecture chez un grand client bancaire que nous ne citerons pas. L’existant, c’est un parc hétéroclite de serveurs SPARC/Solaris sur lesquels tourne l’application KONDOR. Last year StorageMojo interviewed Violin Memory CEO Don Basile. He noted that as flash features sizes shrank, NAND would get slower as well as reducing endurance. Back in July, I started what will eventually be a series of stories on what IBM should be doing with its systems business. And like a bolt from the blue, the company did something that I have been mulling for the past several months in earnest and noodling for the past several years off and on. And what IBM has done is to mimic the ARM collective and open up the intellectual property surrounding its Power chips to help foster a broader ecosystem of users and system makers. Oracle is back in lukewarm water over a line of ads that say its own Sparc and Exadata servers are between two and 20 times better than IBM's Power Systems servers. This time, instead of getting another slap on the wrist from an independent industry board that oversees advertising in the U.S, it could get a slap on the wrist from the Federal Trade Commission itself. It's time for IBM, which called Oracle "a serial offender," to take matters into its own hands. Part 1 of a two-part series that describes how I installed Oracle Solaris 11 and explored its new packaging system and the way it handles roles, networking, and services. This article focuses first on exploring Oracle Solaris 11 without the need to install it, and then actually installing it on your system. So you have broken the FSM in you IBM Flex or IBM PureFlex™ System, either it won't power on any more, or its just failing to start. In my case after a software update it wouldn't boot up correctly and some how the root user had been corrupted, so this meant that I couldn't get access to the system. Below I'll go through the steps I took to get the software re-installed from the 'recovery' section of the internal disk on the FSM node. In this doc I'm going to cover the considerations and set-up of a infniband network, so you will need to pre plan the number of systems that you need and the bandwitch of the adpater you plan to use. What if you have ZFS deployed on SAN in a clustered environment and you require a dedicated SLOG? step: "init 6" one node by one to perform a rolling upgrade. That looks easy, doesn't it? Your application memory usage is steadily growing, and you are racing against time to fix it. This could either be memory growth due to a misconfig, or a memory leak due to a software bug. 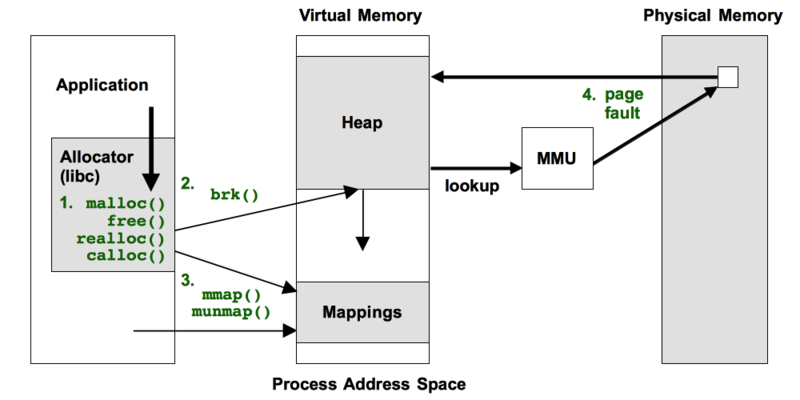 For some applications, performance can begin to degrade as garbage collection works harder, consuming CPU. If an application grows too large, performance can drop off a cliff due to paging (swapping), or the application may be killed by the system (OOM killer). You want to take a quick look before either occurs, in case it’s an easy fix. But how? A new release of Oracle VM Server for SPARC has been released with performance improvements and enhanced operational flexibility. The previous blog entry described new features in Oracle VM Server for SPARC 3.1, and I commented that it was "really easy" to upgrade. In this blog I'll show the actual steps used to do the upgrade. Solaris 11 has been out on the market for nigh on two years and it's an absolutely brilliant evolution in the history of Solaris, however I've come to notice one common issue that really shouldn't be an issue at all: the number of calls we're getting from people not being able to interpret the failure messages that pkg(1M) produces. This post aims to explain how to interpret, understand and resolve the most common pkg(1M) errors. For a long time the maximum number of groups a user could belong to was 16, albeit there was a way to get 32. In Solaris 11 and recent versions of Solaris 10, the maximum number of groups a user could belong to is 1024 (which is the same limit Windows sets in this regard). It's easy to set the new limit. There has been major news on the Oracle virtualization front with the announcement of the Oracle Virtual Compute Appliance ("OVCA" for short). This is an Oracle engineered system designed for virtualization, joining Oracle's family of engineered systems such as Exadata, Exalogic, and Oracle SuperCluster T5-8. OVCA is is intended for general purpose use for a wide range of applications in virtual machines rather than being optimized for a specific workload. It is especially designed for quick deployment into production and ease of use. Customers can start up virtual machines about an hour after OVCA installation. That provides faster "time to value" than taking general purpose systems and designing, adding, and configuring the network, storage and VM software needed to be useful. How do you virtualize? Do you emulate virtual machines? Do you partition your servers' hardware? Or do you run a container technology? This post is about the third option, a container technology built right into Solaris: Solaris Zones. They are pretty awesome, especially on Solaris 11 - they're like vacation: once you go Zones, you won't want to leave them :) But what exactly makes Zones so cool? To learn more about "Domaining" take a look at the recent (August 20th) announced whitepaper: SPARC M5-32 Domaining Best Practices. Hot Chips The new Sparc M6 processor, unveiled at the Hot Chips conference at Stanford University this week, makes a bold statement about Oracle's intent to invest in very serious big iron and go after Big Blue in a big way. Oracle's move is something that the systems market desperately needs, particularly for customers where large main memory is absolutely necessary. And – good news for Ellison & CO. – with every passing day, big memory computing is getting to be more and more important, just like in the glory days of the RISC/Unix business. We all hate slow code. Bunch of princesses is what we've become. During the American Civil War, they had to deliver their text messages by horseback! It took weeks! And half the time, they got blown off their horse by a cannonball to the neck! Today? Today we have to have our stuff back in milliseconds, or we start tweeting about it. So, if you're developing or deploying applications, how do you keep them performing at the speed to which we have become accustomed? DTrace, of course. Back for another article about LDoms - today we'll cover some tricky networking options that come up if you want to run Solaris 11 zones in LDom guest systems. So what's the problem? Core files filling important filesystems? Want email alerts about each core dump? This is the first of a series of blog posts on configuring Oracle VM Server for SPARC (also called Logical Domains) for availability. This series will show how to how to plan for availability, improve serviceability, avoid single points of failure, and provide resiliency against hardware and software failures. In computer performance, we’re especially concerned about latency outliers: very slow database queries, application requests, disk I/O, etc. The term “outlier” is subjective: there is no rigid mathematical definition. Is choosing an operating system all that's important any more? After all, virtualization lets sysadmins choose the OS that best matches the workload they plan to put on each virtual machine. And Red Hat Linux on Intel is cheap and ubiquitous enough to work for most anything. Right? [...] Luckily, Solaris 10 and 11 have all the tools to assist in creating a "two man rule." In fact, we published a paper on the topic in 2005. Its comprehensive role and profile based collection of authorizations ensure that only user with the proper authorizations are allowed access to administrative tools. Solaris can be configured so that one user has the role of "Security Admin" while another user has the role of "System Admin." This article, Part 1 in a series that compares and contrasts Oracle Linux with SUSE Linux, describes registering the software, booting, and system initialization. Okay, back to school folks, back to school :). As with any new product, our long learning journey starts with an installation on a sandbox environment. To get you up to speed with Oracle 12c RAC and let you focus on important stuff (e.g. features research), I have put together detailed step-by-step installation instructions. This is part 3 of a number of blogposts about huge Oracle database IO’s. Oracle today announced that customers and partners continue to rapidly adopt Oracle Linux to increase the scalability, reliability and performance of their critical applications and systems. The fifth POWER Ask the Experts is a one day customer technical event in the UK which ran in Manchester and London on 15th/16th July 2013. It proved to be a very popular free event. We had well over a 100 people attend which was a mixture of customers, a few Business partners and some IBMers. 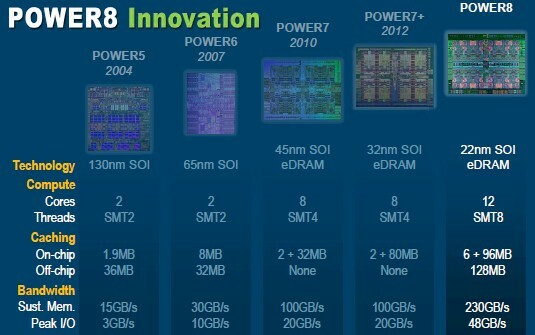 When the microprocessor was invented in 1974, the computational power packed into the 2.6-GHz, dual-core Intel Core i5 that’s in the laptop I got when I joined Oracle two weeks ago would have been unimaginable. It's been exactly two years since we acquired a small startup called Ksplice. Ksplice as a company created the zero downtime update technology for the Linux kernel and they provided a service to their customers which tracked Linux kernel security fixes and providing these fixes as zero downtime Ksplice updates. This is a typical request from IBMers in services or direct from customers wanting to confirm a good disk setup or confirm disks deliver as promised. This time "... a test of SAN disk performance where LUN's are carved from a IBM Flash System 820 with SVC. Primary objective is to show the IBM Flash System 820 can do hundreds of thousands IOPS with response time <1ms with good throughput. This is for an Oracle RDBMS using ASM". Do you know how many SPARC CPU types does Oracle deliver currently? Not one, not two, but five. The SPARC64-VII+, the T4, T5, M5 and M10. We've just introduced something new to make it easier to start working with AI, so you can get past that "different" part and start reaping the (major) benefits. The name's kinda long: Oracle Solaris Zone with Automated Installer and Repository... but that's because there's a lot it's doing for you in one shot. As the name implies, it sets up a new zone on your system, with a local Oracle Solaris 11.1 package repository for both SPARC and x86 deployments, and a DHCP server which you can optionally turn on, configured to act as an AI server. It's pretty much "install and go" and you can immediately start to explore the extensive feature set of AI. At the Southern California Linux Expo earlier this year (SCaLE 11x) I presented a talk on Linux Performance Analysis and Tools. It’s a great conference, and I was happy to be back. My talk provided an overview of over twenty performance tools, and I described the problems they solve. At the end of the talk, I summarized some methodologies for using these tools, so that you know when to reach for what. A common question I run across is how many IOPS (IO Operations Per Second) can a storage device or system do or give. You've probably all seen the new TPC-H benchmark result for the SPARC T5-4 submitted to TPC on June 7. Our benchmark guys over at "BestPerf" have already pointed out the major takeaways from the result. However, I believe there's more to make note of. As part of my job in the ISV Engineering team, I am often asked by partners the following question : is it possible to easily move a Solaris 11 Zone from a physical server to another? The short answer is : YES ! Many people have asked whether Oracle Solaris 11 uses sparse-root zones or whole-root zones. I think the best answer is "both and neither, and more" - but that's a wee bit confusing. This blog entry attempts to explain that answer. Oracle VM Server for SPARC has supported live migration since 2011, providing operational flexibility for customers who need to move a running guest domain between servers. This can be extremely useful, but there's confusion about when it is the right tool to use, when it isn't, and how to best make use of it. This article will discuss some best practices and "do's and don'ts" for live migration. 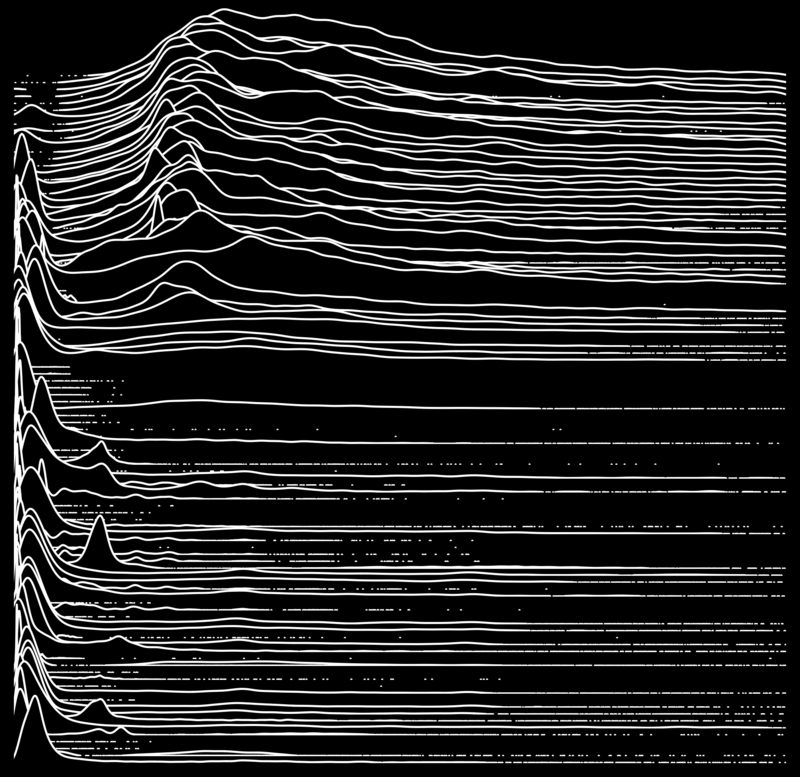 Frequency trails are a simple and intuitive visualization of the distribution of sampled data. I developed them to study the finer details of hundreds of measured latency distributions from production servers, and in particular, to study latency outliers. Systems performance analysis is an important skill for all computer users, whether you’re trying to understand why your laptop is slow, or optimizing the performance of a large-scale production environment. It is the study of both operating system (kernel) and application performance, but can also lead to more specialized performance topics, for specific languages or applications. 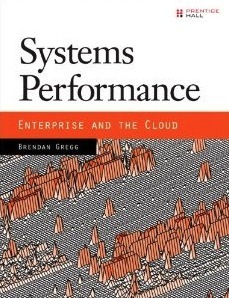 Systems performance is covered in my upcoming book: Systems Performance: Enterprise and the Cloud, to be published by Prentice Hall this year. nmon CPU graphs - Why are the PCPU_ALL graphs lower? 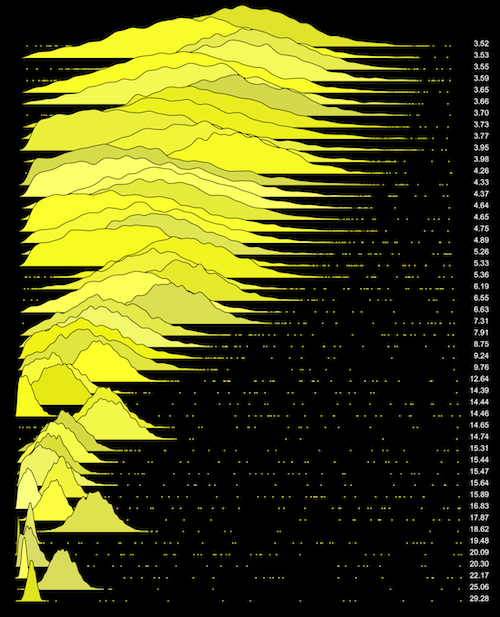 I have been looking at some nmon data from an IBMer looking into a customers machine. The virtual machine (LPAR) is running the Oracle RDBMS with 75 dedicated CPUs - on a POWER7 Power 795 at 4 GHz. Joyent Manta is a highly scalable, distributed object storage service with integrated compute. Developers can store and process any amount of data at any time where a simple web API call replaces the need for spinning up instances. Joyent Manta Compute is a complete and high performance compute environment including R, Python, node.js, Perl, Ruby, Java, C/C++, ffmpeg, grep, awk and others. Metering is by the second with zero provisioning, data movement or scheduling latency costs. A forecast says PC shipments with disk drives will drop by a third between now and 2017. 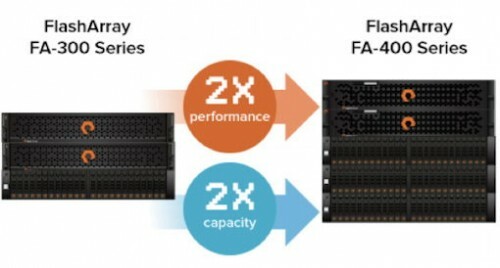 IBM is pushing the all-flash datacenter. SSD start ups are claiming that flash is really as cheap as disk with much better performance. 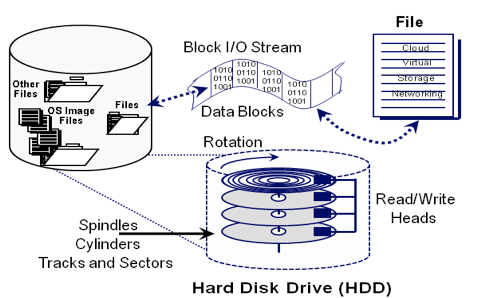 Is it the beginning of the end for disk drives? Today Joyent launched Manta: an object store built upon ZFS and Zones, the SmartOS platform, and with a familiar Unix interface as the API. This supports compute jobs such as map reduce, and provides high performance by co-locating zones with the object storage. We also have extensive DTrace instrumentation throughout the product, which we’ve been using in development to help tune performance and respond to performance issues. Linux Containers (LXC) provide a means to isolate individual services or applications as well as of a complete Linux operating system from other services running on the same host. To accomplish this, each container gets its own directory structure, network devices, IP addresses and process table. The processes running in other containers or the host system are not visible from inside a container. Additionally, Linux Containers allow for fine granular control of resources like RAM, CPU or disk I/O. Oracle 12c is now available for download. Notice that support for Solaris SPARC and x86-64 are among the operating systems supported on the first day of availability. [...] As has been the case for some time, Oracle databases are supported in zones. Until recently, Solaris 10 Branded Zones on Solaris 11 suffered one notable regression: Live Upgrade did not work. The individual packaging and patching tools work correctly, but the ability to upgrade Solaris while the production workload continued running did not exist. A recent Solaris 11 SRU (Solaris 11.1 SRU 6.4) restored most of that functionality, although with a slightly different concept, different commands, and without all of the feature details. This new method gives you the ability to create and manage multiple boot environments (BEs) for a Solaris 10 Branded Zone, and modify the active or any inactive BE, and to do so while the production workload continues to run. A very nice chart from Richard Milton of IBM on the minimum levels for AIX and VIOS of Power7 and Power7+ hardware. The half-rack configuration of the Sparc SuperCluster populates each node with four of its eight Sparc T5 chips plus 1TB of main memory, eight 900GB disk drives spinning at 10K RPM, four 40Gb/sec InfiniBand ports and four 10GB/sec Ethernet ports. The InfiniBand ports are used to link the two server nodes to each other in an Oracle RAC cluster and to the Exadata storage servers that are also in the rack. Across those two nodes, you have 128 cores and 2TB of memory. In development for roughly four years, Oracle Database 12c introduces so many important new capabilities in so many areas -- database consolidation, query optimization, performance tuning, high availability, partitioning, backup and recovery -- that even a lengthy review has to cut corners. Nevertheless, in addition to covering the big ticket items, I'll give a number of the lesser enhancements their due. In this post, we'll use Ops Center to add hardware monitoring to Enterprise Manager. We'll discuss the existing capabilities of Host targets, show how to create an Infrastructure Stack and demonstrate some of the features it provides to Enterprise Manager. The Clipper Group Navigator, first published in 1993, describes new technologies and innovative products and the business values that they bring to the enterprise. It is targeted at business readers, in general, and decision makers in the information technology community, in particular. Most systems administrators are quick, perhaps too quick, to tell you “I’m not a coder.” Oddly, this admission normally comes after boasting about how many programming languages they know or have used. Why is this? Can this be changed? Here is my 5 step plan on how any SA can become an honest to goodness programmer. You can do P2V using Ops Center, but it's not a single-wizard process, and it'll take a bit of tinkering. Basically, you take a flash archive (FLAR) of an existing system, import it, then deploy a host, ldom, or branded zone based on that FLAR. What is NPIV (N_Port ID Virtualization) and NPV (N_Port Virtualization)? Many customers have large collections of physical Solaris 8, 9 and 10 servers in their datacenters and they are wondering how they are going to virtualize them. This leads to a commonly asked question. Can Enterprise Manager Ops Center 12C be used to P2V (Physical to Virtual) my old servers? Ops Center does not have a single button P2V capability, but it is possible for Ops Center to deploy physical servers, LDOMs and branded zones based on flash archives(flars) that have been taken of your existing physical servers. Ops Center achieves P2V by deploying flars and leveraging its patching and automation capabilities, to make the P2V process consistent, repeatable and as cost effective as possible. Oracle-Solaris.fr était présent à cet événement d’envergure pour les technologies Oracle Solaris et Sparc qui s’est déroulé le 15 mai à Paris. L’objectif premier était d’y faire des rencontres, entre administrateurs et ingénieurs systèmes Solaris mais aussi d’y partager ses expériences. With the POWER7 processor, many changes were integrated into the chip that must be taken into account when defining LPARs. First, understand that POWER7 technology and simultaneous multithreading (SMT4) are all about throughput, and rPerf is a throughput-based performance measurement. Therefore, to take advantage of the server’s full rPerf it’s important to drive all of the threads. However, the way the threads get kicked off has changed with POWER7. Response time – or latency – is crucial to understand in detail, but many of the common presentations of this data hide important details and patterns. 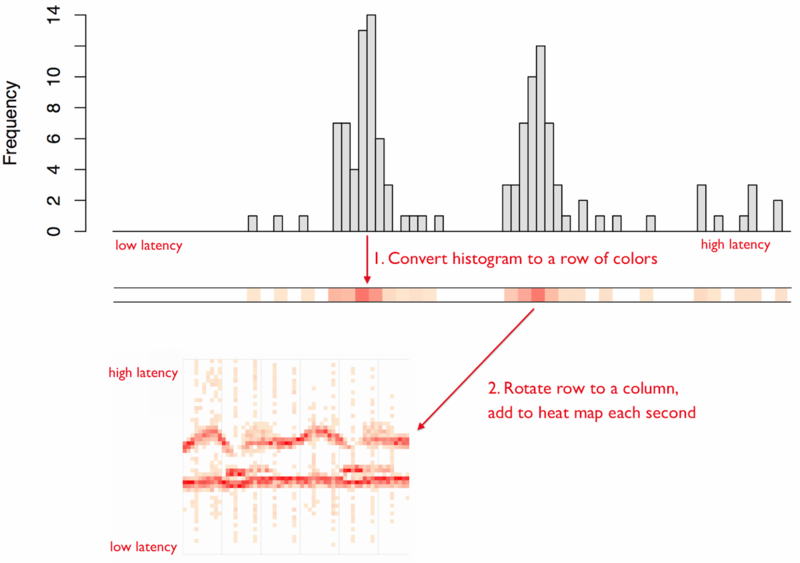 Latency heat maps are an effective way to reveal these. I often use tools that provide heat maps directly, but sometimes I have separate trace output that I’d like to convert into a heat map. To answer this need, I just wrote trace2heatmap.pl, which generates interactive SVGs. I describe only migration P2V of a physical server in a ldom, the installation and the configuration of Oracle VM Server for Sparc are not specified in this article. This article describes how to update Java without updating any other software. Java might be updated multiple times in an Oracle Solaris release, so you should follow this procedure periodically. har is the Hardware Activity Reporter. I’ve never seen it work, but it did help me solve a crucial performance issue. This video demonstrates the server power management features of the Oracle SPARC T5 platform running Solaris 11 and Oracle VM Server for SPARC. Today on UnixEd.com, author and educator Bill Calkins posts some tips for taking Oracle Solaris 11 certification exams. In this helpful article, he outlines key things to focus on for the most effective use of your study time, including type of exam questions, recommended practice exercises, how to approach and interpret scenarios, as well as recommended reading/study material within his new book, "Oracle Solaris 11 System Administration" which comes out in Jun 2013. Recently I posted two entries about the new Extended Policy functionality in Oracle Solaris 11.1. One demonstrated how to create application sandboxes, and the other how to confine services, like MySQL. Both of these are examples of restrictive policies, whereas privileges have traditionally been used to implement permissive policies, hence the term privilege escalation. The basic functionality and terminology first appeared in Trusted Solaris in 1991. Unfortunately, a draft of the POSIX 1.e Security Specification (withdrawn), used the term capabilities for this functionality, which was subsequently used by Linux developers. Oracle Solaris privileges do share some common terminology with Linux, including the permitted, effective, and inheritable privilege sets. But almost everything else is different. In last week's issue of The Four Hundred, I walked you though the pricing for various sized configurations of the new Power 750+ and Power 760+ midrange servers using IBM's dual-chip module (DCM) variant of the Power7+ processor. That just looked at the system hardware costs. This week, as I have done in the past, I want to walk you through how the raw computing, operating system, and Software Maintenance costs compare across each processor SKU and how those costs stack up with prior Power 750 machines. With so many kernel updates released, it can be difficult to keep track. At Oracle, we monitor kernels on a daily basis and provide bug and security updates administrators can apply without a system reboot. To help out, the Ksplice team at Oracle has produced the Ksplice Inspector, a web tool to show you the updates Ksplice can apply to your kernel with zero downtime. To start with: we've just released an update to Oracle Solaris Studio, with compiler optimizations specifically designed to get the most performance out of applications on Oracle T5, Oracle M5, and Fujitsu M10 systems. As a result, IBM is trying to shift the terms of the debate in order to buy itself some time so that it can try to come up with some sort of story that might blunt the simple facts that Oracle’s new T5 servers have not only posted benchmark results several times faster than comparable IBM products, but are much less expensive as well. SPARC T5/M5-32 VAR Training Replay NOW AVAILABLE! Promote to your partners who were unable to attend the SPARC T5/M5-32 VAR Training session on March 28th or if you just want to review some of the content again. Oracle’s x86 Systems: The Best x86 Platforms for Oracle Solaris. Glynn takes his time to provide a thorough explanation to anyone who might be entering the world of Solaris 11 and is interested in seeing how things can be put together. Glynn goes over IPS components such as actuators, facets, variants, mediators, a family of pkg* commands, reviews SMF elements such as manifests, profiles, and svcbundle, as well as ties everything into building a zone and performing basic resource management on how the zone consumes network bandwidth. This is a perfect example of what we can do by co-engineering the processor, the system, the OS, and the database. Oracle VM Templates provide an innovative approach to deploying a fully configured software stack by offering pre-installed and pre-configured software images. Use of Oracle VM Templates eliminates the installation and configuration costs, and reduces the ongoing maintenance costs helping organizations achieve faster time to market and lower cost of operations. Customers have been enjoying the benefits of accelerating software deployment with Oracle VM Templates on x86 platforms. Now we have made Oracle VM Templates available when deployed with Oracle VM Server for SPARC. How do you scale a general purpose operating system to handle a single system image with 1000's of CPUs and 10's of terabytes of memory? You start with the scalable Solaris foundation. You use superior tools such as Dtrace to expose issues, quantify them, and extrapolate to the future. You pay careful attention to computer science, data structures, and algorithms, when designing fixes. You implement fixes that automatically scale with system size, so that once exposed, an issue never recurs in future systems, and the set of issues you must fix in each larger generation steadily shrinks. Shared Storage Pools - just got even more interesting! Last time, I outlined the general issues that must be addressed to achieve operating system scalability. Next I will provide more detail on what we modified in Solaris to reach the M5-32 scalability level. We worked in most of the major areas of Solaris, including Virtual Memory, Resources, Scheduler, Devices, Tools, and Reboot. Today I cover VM and resources. Simply speaking, east/west traffic is the traffic that rather than going in and out of the data center (which in the world of this metaphor is called north/south traffic), goes between servers in the same data center -- or even in the same physical server. Analysts say the unveiling of midrange and high-end servers running Oracle-built Sparc chips that share the same architecture is a step toward fulfilling the company's post-Sun plans. POWER Relative Performance (rPerf) is often used as a way to approximate the expected difference in performance between two Power Systems servers. Although rPerf is a useful tool, it is important to understand the limitations of using rPerf to provide an estimate the performance of your specific workloads in your particular environment with a new server. Slides from Systems Strategy Update Hartford CT April 2013 on the SPARC Server Announcement and Oracle Virtual Networking (OVN) also known as Xsigo. Today I conclude this series on M5-32 scalability [ Part1 , Part2 ] with enhancements we made in the Scheduler, Devices, Tools, and Reboot areas of Solaris. Recently, one of our good U.S. DoD customers purchased a SPARC SuperCluster system and received their "Interim Authority to Operate" on the DoD network. Why is this a big deal? First, allow me provide an overview of the SPARC SuperCluster system. For longtime Sun customers, the technology refresh will be welcome, leading to improved SPARC server sales right away. But Oracle can be expected to look far beyond its own installed base, planning to grow its total available market (TAM) by taking share from its longtime Unix competitors, IBM and HP. Now that the new T5 and M5 technology is ready, IDC will watch with great interest in coming quarters to see whether the T5 and M5 announcements will lead to near-term market share gain and to a long-awaited turnaround in Oracle's hardware business. For example, Oracle Solaris 11.1.6.4.0. The digits represent Release.Update.SRU.Build.Respin. For the above example, Oracle Solaris 11.1 SRU 6.4. In the past five years, flash memory has progressed from a promising accelerator, whose place in the data center was still uncertain, to an established enterprise component for storing performance-critical data. It's rise to prominence followed its proliferation in the consumer world and the volume economics that followed. With SSDs (solid-state devices), flash arrived in a form optimized for compatibility—just replace a hard drive with an SSD for radically better performance. But the properties of the NAND flash memory used by SSDs differ significantly from those of the magnetic media in the hard drives they often displace. While SSDs have become more pervasive in a variety of uses, the industry has only just started to design storage systems that embrace the nuances of flash memory. As it escapes the confines of compatibility, significant improvements in performance, reliability, and cost are possible. 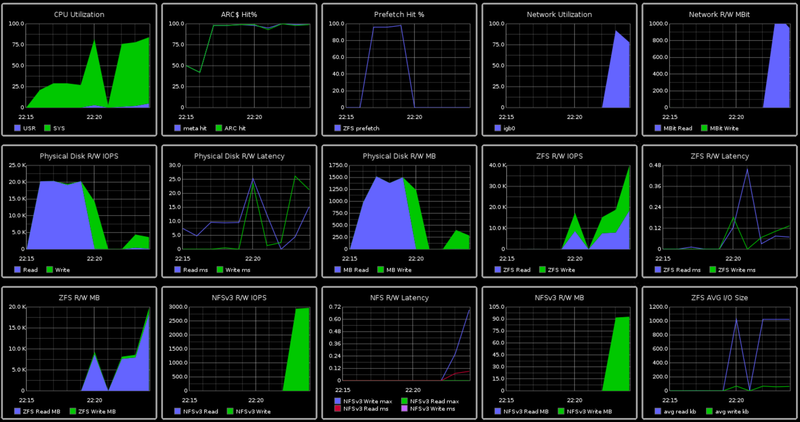 While working with ZFS performance I created a dashboard to get a good overview with lots of different statistics. It's powered by Dtrace, python and graphite. There is a high level of detail but still easy to correlate different statistics. This paper provides guidance to IT professionals who are implementing Oracle Solaris 11 within their Cardholder Data Environment (CDE) and to the Qualified Security Assessor (QSA) assessing those environments. The Payment Card Industry Data Security Standard (PCI DSS) applies to all organizations that store, process, or transmit cardholder data. This includes entities such as merchants, service providers, payment gateways, data centers, and outsourced service providers. The T5 has doubled the number of S3 cores from the T4 and increased the clock frequency to 3.6GHz. The M5 processor is also based on the S3 core (rebranded M4) clocked at 3.6Ghz but is has 6 cores and 48MB L3$. The M systems supports up to 32 M5 processor so a fully configured systems will have 192 cores and 1536 strands (hardware threads). The M5-32 have 32TB of memory in a single system. All new systems both T5 and M5 supports LDOM (Oracle VM for SPARC), plus the old Dynamic Domain technology for the M5. The M5 gets an ILOM as Service Processor (as for T5 and the x86 server lines), exit the legacy XSCF. New SPARC Servers Redefine the Economics of Enterprise Computing: Deliver Extreme Performance and Value for Database and Enterprise Applications, Trump the Competition on Multiple Business-Critical Workloads. 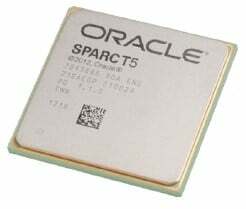 Oracle is launching its much-awaited Sparc T5 processors for entry and midrange servers, along with Sparc M5 processors to effectively replace the iron it currently resells from server and chip partner Fujitsu. At the moment, Oracle is shipping only one box based on the Sparc M5, with 32 sockets, called the Sparc M5-32 (obviously). Fully configured, this big-iron box weighs in at 192 cores, 1,536 threads, and 32TB of main memory. No one has as much memory in a single image today – not IBM, not Silicon Graphics, not HP, and not Fujitsu. The Sparc M5-32 box puts Oracle/Sun back into big iron. Ellison aims his first Oracle 'mainframe' at Big Blue. "These machines deliver better integer performance than the IBM Power series," proclaimed Ellison. "The T5 microprocessor itself delivers better integer performance than IBM's PowerPC chip. Now that is really extraordinary, because IBM has had that lead for a very, very long time for integer rate performance, but that lead now moves over from IBM Power to Sparc T5. "A lot of people are surprised by this," continued Ellison. "When Oracle bought Sun, a lot of people thought the Sparc microprocessor was a real laggard. There were a lot of people who believed that we would never catch up. Well, we have done better than catch up. We caught up, and then we passed the competition. We passed x86 and we passed IBM Power." Announcing New SPARC Servers: Webcast replay. So that's quite a "boom." With the launch of the new SPARC T5 and M5 series of servers, we've set over a dozen new performance records, and shown that back in 2010 Oracle did indeed establish a SPARC roadmap that it could execute on. Every year, the best of engineering talent comes together in academia for Hot Chips conference, to present the best system designs. During Hot Chips 24, Session 9 - the SPARC T5 was presented by Sebastian Turullols and Ram Sivaramakrishnan from Oracle on Wednesday, August 29, 2012. This processor was released 6 months later, by Oracle with their T5 systems on Tuesday March 26, 2013. This paper describes how to implement an increasingly useful type of virtualization feature known as root domains. It also describes an operational model where root domains can be used in conjunction with Solaris Zones for maximum performance and a high degree of flexibility. The SPARC architecture is perhaps the first and longest lasting open and mainstram computing architecture in human history. In Ocrober 2012, Network Management published a reminder for people to attend the "SPARC at 25" event at the Computer History Museum. In November of 2012, Network Management published an short article pointing to the replay of the historic events: SPARC at 25: Past, Present, and Future. Diana Reichardt published an article "SPARC at 25" in the bi-monthly printed Oracle Magazine, covering the event. New Tab: OpenSXCE New Distribution! OpenSolaris grew from an Open Source repository to Open Solaris Distribution (for both Intel and SPARC.) Solaris Express Community Edition (Solaris SXCE) was the Intel/SPARC forerunner of Oracle Solaris 11, which abandoned UltraSPARC processors. OpenSXCE, based upon the work of MarTUX, brings OpenIndiana and Illumos back to SPARC as a full distribution, based upon standards such as SVR4 packaging. Implementing higher degrees of isolation can be accomplished by encapsulating each database environment. Encapsulation can be accomplished with physical or logical isolation techniques. Oracle recently certified 11gR2 RAC in Solaris 11 Zones, which is an important capability for database clouds, because it enables strong isolation between databases consolidated together on a shared hardware and O/S infrastructure. This article discusses how to enable Trusted Extensions on an Oracle Solaris Cluster 4.1 cluster and configure a labeled-branded Exclusive-IP type of zone cluster. This article is a step-by-step guide for installing Oracle Linux 6.3 with a Btrfs root file system on an Oracle VM guest. Download and install the Services Tools Bundle. Enable Automatic Service Request (ASR). A new feature in Oracle VM Server for SPARC provides logging for guest domain consoles. Console I/O - all text on the serial console - is logged for all or selected domains, including text that appears before the domain boots Solaris. Logs are stored in files under the directory /var/log/vntsd/domain. These directories are root-owned to protect them from unauthorized access. In the past few months, George Wilson and Adam Leventhal made significant improvements to how writes are handled in ZFS. In this multi part blog post, I will talk about a benchmark we created to measure improvements in ZFS write performance as we make changes to the OS. In this post, I will talk about the benchmark setup and run. I will show some of the results from this benchmark on Delphix OS. In part two, I will present data and some analysis on the bottlenecks discovered and how they are going to be addressed. Today we released Oracle Solaris Cluster 3.3 3/13 (that's a lot of threes!). This update is specifically for use with Oracle Solaris 10, delivering even more high availability and disaster recovery capabilities for mission-critical application deployments. The brains behind the ZFS filesystem – including Jeff Bonwick and Bill Moore – have been hard at work for several years at start up DSSD. What are they doing with Andy Bechtolsheim’s money? I'd like to welcome everyone to this new blog, where I'll be discussing what's happening with the Oracle mainline Linux kernel development team. I'm James Morris, manager of the team. I report to Wim Coekaerts. I'm also the maintainer of the Linux kernel security subsystem, which I blog about separately here. The March Solaris SIG event is about running OpenAFS on Solaris 11 x86. This talk will explore what makes Solaris unique in large OpenAFS deployments with petabytes of storage - how it can save millions of dollars and make debugging and performance analysis much easier and quicker compared to other platforms. Some of the unique features of OpenAFS will be described and how we used them to migrate one of the largest OpenAFS deployments in the world - completely on-line and transparently to AFS clients. Real world examples of how DTrace was used to improve OpenAFS performance and scalability will be discussed. Dear StorageMojo: should I go all SSD? This came in this morning’s email from a reader I’ll call Perplexed. How would you advise Perplexed? We find many people are over optimistic and making assumptions - which can catch them out - we learnt the hard way too. I have had a couple of Power systems administrators make assumptions about the virtual Ethernet speed improvements when they install a 10 Gb IVE/HEA in a VIOS which are simply not true. I guess that if three teams have made this mistake then others are about too. So I intend here to put the record straight. Originally, this technology was meant to protect a host against a failure of its network adapter and/or switch (network switch). Additionally, some unscrupulous salesmen claimed a fantastic increase in throughput aka two adapters tied together will double, three adapters tied together will triple throughput of the associated with them EtherChannel adapter – yes, in a salesman pure land of fantasy. Last weekend, I found the origin of the SVM bug using the mdb tool. Good reading !! One of the features introduced with 11.1 is the Address Space Layout Randomization (ASLR) . And when you work with 11.1 you are already using it. So it's a less known, but frequently used feature: less known in the point that it exists, less known in the point of the methods to control it, frequently used as it's activated per default for selected binaries (and many were selected). This article illustrates how to take an existing JumpStart server, install the Oracle Solaris 11 Provisioning Assistant for Oracle Solaris 10 on it, create and configure an installation service, and then provision a client system using that installation service. We sat down with Monica Kumar, Senior Director, Oracle Linux, Oracle Virtualization, and MySQL Product Marketing, to discuss the latest update on Oracle Linux. Everyone knows that one of the major problem for consolidating Solaris 10 is network. if each Solaris Zones use a different network (vlan), the configuration of the Global Zone becomes a real headache. After discussing Oracle VM, OS virtualization, and some aspects of resource management in the previous articles of this series, this article will now cover a special area of resource management and virtualization of resources: network virtualization and network resource management. The network is a special shared resource that glues all the virtual machines (VMs), zones, and systems together and provides a communication channel with the world. Thus, the network is a very important layer of the virtualization stack. Cela fait déjà un petit moment que j'ai écrit la 1er partie de cet article et j'imagine que vous aviez hâte dans connaître le dénouement ? Après avoir créé vos repos (méthode pas-à-pas disponible dans un précédant article), il est temps de créer votre serveur AI personnalisé. Je vais découper ce sujet en deux partie, un article sur l'architecture Sparc et un autre sur l'architecture x86. Et pourquoi donc ? J'utilise deux méthodes d'initialisations différentes, wanboot pour l'architecture Sparc et la paire pxe/dhcp pour l'architecture x86. Du coup je préfère distinguer ces deux architectures. Observations : analyse d'un core "...Unable to fork..."
Les apparences sont quelques fois trompeuses… Petite démonstration confirmant cet adage. Situons le contexte : plusieurs DBA Oracle nous remontent un incident sur un de leur serveur. Le symptôme étant le suivant : connexion impossible. Après une rapide vérification le diagnostic initiale semble être le bon. Petite connexion au déport console du serveur et me voilà devant un message des plus explicite « Unable to fork ». Hop, je provoque un petit panic et en avant pour une petite analyse. Lors d'un précédent article, j'ai traité la mise en place d'un serveur AI personnalisé pour l'architecture Sparc (déploiement via Wanboot). Comme convenu, je vais traité ici la mise en place d'un serveur AI mais sur l'architecture x86. La différence entre ces deux architectures (d'un point vue installation) se situe principalement sur la phase d'initialisation juste avant le début de l'installation. Sur une architecture x86, la phase d'initialisation est le plus souvent exécutée par le couple pxe / dhcp. Il est donc nécessaire de configurer un serveur dhcp permettant d'interpréter la requête pxe que le client enverra. Il peut s'agir d'un serveur dédié ou mutualisé avec le serveur AI. Dans mon exemple ci-dessous, il n'y a qu'un serveur pour la configuraton dhcp et AI. However, there are best practices that can enhance or ensure performance. This blog post lists and briefly explains performance tips and best practices that should be used in most environments. Rather than describe this in text, the best thing to do is show it in demo format. Fortunately, the wizardly Steen Schmidt has produced outstanding Youtube videos showing Oracle VM Manager in action at https://www.youtube.com/user/gandalf3100. First make sure you have nc(1) available it is in the pkg:/network/netcat package. Then configure COM1 serial port in the VM settings as a pipe. Tell VirtualBox the name you want for the pipe and get it to create it. As 2012 comes to a close, I thought it would be a good time to look back at some of the changes that have been made to the Trusted Extensions features in Oracle Solaris. The uptrack-update command applies patches to your Linux kernel while your system is still running. A Ksplice Uptrack subscription gets you so much more than rebootless kernel updates. Here are some details. Solaris 11 ships with OpenLDAP to use as an LDAP server. To configure, you're going to need a simple slapd.conf file and an LDIF schema file to populate the database. The Oracle Linux team is pleased to announce the availability of Oracle Linux 6.4, the fourth update release for Oracle Linux 6. Do You Ever See Kids Wearing Toy Pagers Playing Sysadmin?